This study explored parents’ and students’ attitudes toward tablet usage in a formal educational setting. A total of 212 students from four 7th-grade classes, along with 145 of their parents, responded to the Tablet Acceptance Questionnaire. Quantitative methods including a t-test and partial least square (PLS) analyses were employed to examine students’ and parents’ attitudes toward tablet integration in schools, and to investigate factors influencing students’ and parents’ attitudes toward tablet usage, respectively. The results indicated significant differences between students’ and parents’ attitudes. Empirical findings suggested students hold more positive views than their parents with regard to tablet usage, tablet benefits for learning, and technical advantages and ease of use. Conversely, parents expressed greater concern over potential negative effects of tablet usage in education than do their children. This study also suggested educational benefits of tablet usage were the key factor influencing both students’ and parents’ attitudes. Based on the cross-examined understanding of parents’ and students’ attitudes, suggestions for large scale tablet initiatives are proposed. Zhu, S., Yang, H., MacLeod, J., Shi, Y. & Wu, D. (2018). Parents’ and Students’ Attitudes Toward Tablet Integration in Schools. 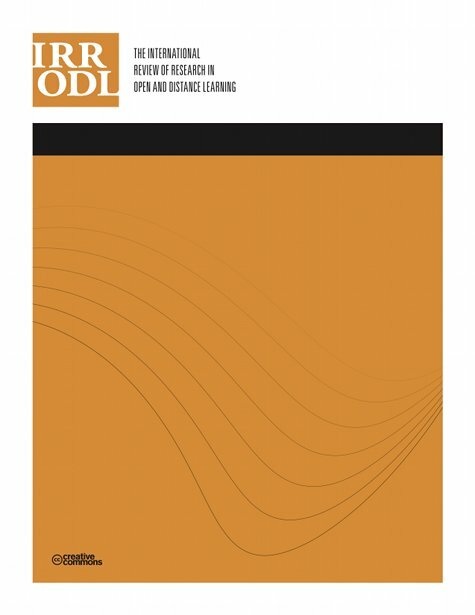 The International Review of Research in Open and Distributed Learning, 19 (4),. Athabasca University Press. Retrieved April 25, 2019 from https://www.learntechlib.org/p/184782/. Bebell, D., & O’Dwyer, L.M. (2010). Educational Outcomes and research from 1:1 Computing settings. Billon, M., Lera-Lopez, F., & Marco, R. (2010). Differences in digitalization levels: A multivariate analysis studying the global digital divide. Review of World Economics, 146(1), 39-73. Chu, H.C., Hwang, G.J., Huang, S.X., & Wu, T.T. (2008). A knowledge engineering approach to developing e-libraries for mobile learning. The Electronic Library, 26(3), 303-317. Cohen, J. (1988). Statistical power analysis for the behavioural sciences. Hillsdale, New Jersey: Erlbaum. Dündar, H., & Akçayır, M. (2014). Implementing tablet PCs in schools: Students’ attitudes and opinions. Computers in Human Behavior, 32, 40-46. Fornell, C., & Bookstein, F.L. (1982). Two structural equation models: LISREL and PLS applied to consumer exit-voice theory. Journal of Marketing Research, 19(4), 440-452. Fornell, C., & Larcker, D.F. (1981). Evaluating structural equation models with unobservable variables and measurement error. Journal of Marketing Research, 18(1), 39-50. Garland, K.J., & Noyes, J.M. (2004). Computer experience: A poor predictor of computer attitudes. Computers in Human Behavior, 20(6), 823-840. Gobbo, C., & Girardi, M. (2001). Teachers’ beliefs and integration of information and communications technology in Italian schools. Journal of Information Technology for Teacher Education, 10(1-2), 63-86. Helmstadter, G.C. (1964). Principles of psychological measurement. New York: Appleton-Century-Crofts. Hill, P. (2013). Examination systems: Asia-Pacific secondary education system review series No. 1. Bangkok, Thailand: UNESCO. Kiger, D., & Herro, D. (2015). Bring your own device: Parental guidance (PG) suggested. TechTrends, 59(5), 51-61. Nunnally, J.C., & Bernstein, I.H. (1994). Psychometric theory. New York: McGraw-Hill. Park, E., & Pobil, A. (2013). Technology acceptance model for the use of tablet PCs. Wireless Personal Communications, 73(4), 1561-1672. Pegrum, M., Howitt, C., & Striepe, M. (2013). Learning to take the tablet: How pre-service teachers use iPads to facilitate their learning. Australasian Journal of Educational Technology, 29(4), 464479. Soykan, E. (2015). Views of students’, teachers’ and parents’ on the tablet computer usage in education. Cypriot Journal of Educational Sciences, 10(3), 228-244.